A Successful Allergy-Safe Birthday Party! I just wanted to share the what-I-consider-successful (no Epi-pen needed, no trip to the ER, no allergic reaction) birthday party that we had for my daughter's 3rd birthday. We had it at *gasp* Chuck E. Cheese's! I know it might seem completely insane to have a party for a severely milk-allergic toddler at a place with "cheese" in the name, but we just haven't ever had any problems there and she loves it. I'm guessing it's because the one we go to is very clean and we always go early, when they first open up for the day, before too many sticky hands touch everything. When we go for a regular visit, we go during the week, at 9:00 a.m. and we're often the only ones in the place. There are no kids around eating pizza and touching things. This is actually my daughter's second Chuck E. Cheese's birthday party and we have had great experiences both times. Goodie Bags - I made goodie bags for each child with non-edible treats. It contained a sheet of stickers, a mini-Viewmaster-type toy, a plastic animal and a package of crayons. Lunch - I ordered pizza for everyone else (even though I cringed at the thought of cheesy fingers), but I sat my daughter one the end of the table and we sat on either side of her to create a "buffer zone" and I asked the staff members not to place any pizzas on her table. I packed her a lunch with Ian's chicken nuggets, dehydrated apple slices and Mum-Mums. I brought her own plate and a large pack of Kirkland wipes (from Costco - they are the best!!) Between that and the cake, she was happy and well fed. I also packed her Thermos of hemp milk! I know these planning methods may not work for future birthdays, but for this party, I think it was pretty successful. I certainly debated the choice of venue, but she really, truly loves to go there and she is not afraid of Chuck E. and actually loves to see him. She loves the inflatable crown they give out and above all - grabbing for tickets in the Ticket Blaster! I am so glad that everything went smoothly. I watched her like a hawk, the rest of the day, to see if there would be any latent reactions, but she was fine and I am so very grateful for that. In the eternal quest for edible, palatable, allergy-safe baking recipes, I used to find myself baking up whole batches of muffins, only to have to throw a whole tray full of "bricks" into the trash. After that happened a few times, I decided that it was probably best to make 1/4 batches of new recipes. Even with tried-and-true recipes, I often bake partial batches, because I only have one daughter and she does not need a full batch of muffins, just for herself. Here are some of the tools that I use, when baking small batches. Pinch, dash and smidgen measuring spoons - These measure out 1/8, 1/16 and 1/32 of a teaspoon. I often use this when measuring out salt or vanilla extract. Mini measuring "shot glass" - This measures 2 Tablespoons, 6 teaspoons, etc. I use this when making egg replacer. 2 T. of warm water makes 1 "egg". I can microwave it for about 15 seconds. "Coffee" scoop - This measures out 1/8 cup which equals 2 Tablespoons. When the flour gets reduced to "3/8" of a cup, it makes it easier to use this scoop, rather than trying to "eyeball" half of a 1/4-cup measuring cup. It's also an easy way to measure out 2 T. of applesauce in a single scoop. Mini muffin pan - I don't always fill up all the cavities, and I have found that it's easier to get muffins and cupcakes to cook all the way through, if I made them smaller. I typically prefer to grease the wells with Spectrum, rather than using paper liners, because the muffin often sticks to the liner. "Whoopie Pie"/Muffin Top pan - I also use this pan to get around the fact that I have a hard time getting my batters to cook well, all the way through. It's also a good pan for biscuits or rolls. Cookie scoop - Getting the batter into those mini-muffin cavities is so much easier with a small cookie scoop. This made about 16 mini-muffins in a 24-mini-muffin tin. Grease mini-muffin tin with Spectrum Organic Shortening, or line with mini-muffin liners. In a small bowl, mix prepared "egg", light brown sugar, and sweet potato puree and juice. In a medium bowl, place the Bisquick Gluten-Free baking mix, and make a well in the middle, as you would for bread-making. Pour the wet ingredients into the middle and mix until combined. Using a small cookie scoop, fill mini-muffin tins. My daughter's allergy to soy is mild, so with only a risk of trace amounts from cross-contamination, I decided to try it out and it didn't cause her any problems. However, if your child has a severe soy allergy, it would be best to use another baking mix. They did stress that we should read the ingredients list each time, as product formulations may change. The muffins didn't actually taste much like sweet potato, but I wanted to throw it in there, to add a little added nutrition. I used pear juice, because that's what I had in the pantry. I think these are good when you want to have a little snack handy, or for playdates, etc. I must say that I've been pretty impressed with the fluffiness of the Bisquick baking mix. I also made some pancakes with them, that my daughter liked. I am comparing non-dairy milks from the perspective of choosing one for a child, as adults have different dietary needs and considerations. I am also focused on the food-allergic child, especially one with other food allergies in addition to a milk-protein allergy. The non-dairy milks I have chosen to compare are: hemp, coconut, sunflower (new "milk" on the market), soy, almond, flax, rice and oat milk. Why those? Well, if you're allergic to all the Top 8 allergens, then your options are pretty much hemp, flax and rice milk, because I would avoid coconut milk until you know for sure that it's safe. Coconut is not a "nut" as far as "tree nuts" are concerned, but is actually a "fibrous one-seeded drupe" from a coconut palm tree. Even so, my daughter happens to be allergic to coconut, as well as tree nuts, so it's not an option for us. She's also allergic to flax seed, so that one's out, too. Your child(ren) might not have a soy, tree nut, flax seed, or oat allergy, though, so I am including those milks, as well. There's also a new sunflower seed beverage on the market. I'm including cow's milk at the end of the list, just to show people that it's not the only milk in town, when considering what to give your child (even if your child does not have allergies). I listed both 2% and whole milk, because unless your child is having trouble gaining weight, most pediatricians say it's OK to go with 2%, instead of whole milk, at 12 months of age. I could go on a "cow's milk is for calves" rant, but now is not the time to get into all that. Even though my daughter finds vanilla hemp milk to be her favorite, I will compare the original varieties of each milk type. 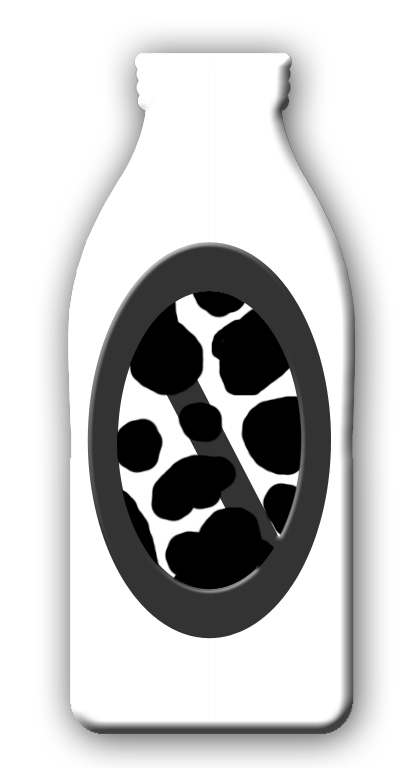 I selected the "enriched" versions of each milk type, when available. This information is for general research purposes. 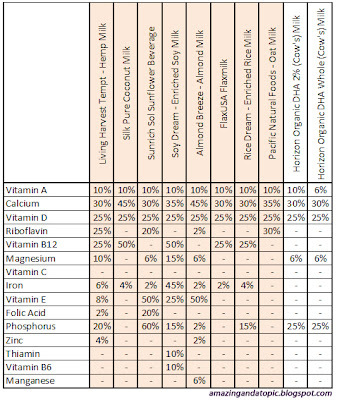 There may be other non-dairy milk brands with slightly different compositions, but I think this can give you a general idea of the nutritional differences between the various milk types. Here is a post with additional information on the cross-contamination issues amongst the various non-dairy milks, but please check with each manufacturer to see which manufacturing/processing conditions are acceptable for your children and their particular allergy severities. 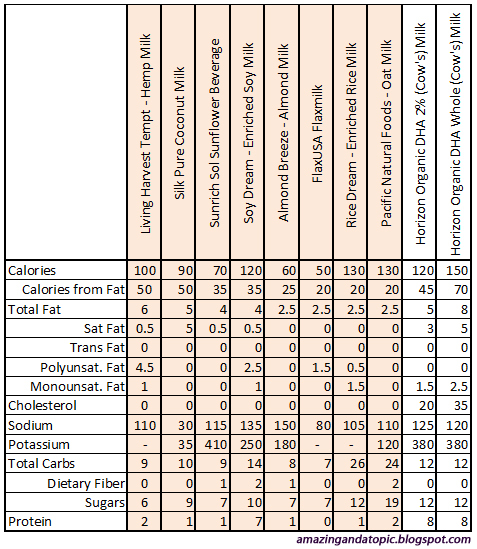 When faced with only the choice of hemp, rice, flax or possibly oat milk, hemp milk looks the best, to me, with more/better fat composition, less sugar, and more protein. Sunflower milk looks like it has a good amount of potassium - more than any of the others I researched. I would say that oat milk has WAY too much sugar, for my liking. Flax milk is relatively new to the scene, but it's available at Wal-Mart, so that means it should be available to quite a few people. It's low in calories and that might not be such a good thing for a developing child who can't eat a variety of foods. It's lower in sugar than rice milk, but it doesn't have any protein. Hemp, rice and flax milk do not have any potassium, but if you feel that is a concern, make a "milk shake" and throw in a banana. For Vitamin A, Calcium, and Vitamin D, they are all pretty comparable. Almond milk has a lot of Vitamin E, but is out of the question for someone with an almond/tree nut allergy. The sunflower milk has the same amount of Vitamin E and the added boost of Folic Acid. Have you ever heard of zinc being recommended for its immunity-boosting properties? Hemp milk has 4% of an adult's RDA, which is around 10% of a toddler's RDA. 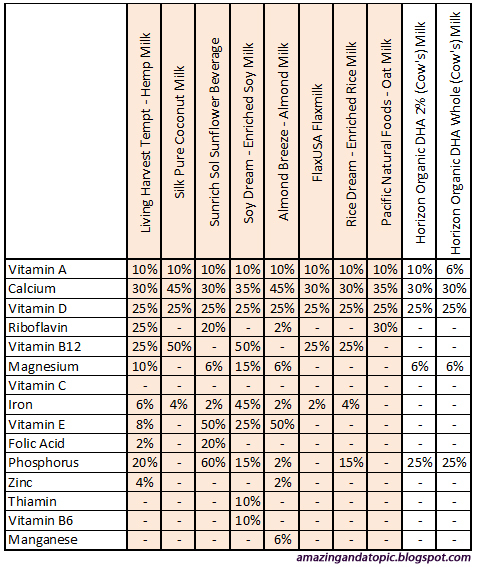 Hemp and sunflower milk are the only ones that list folic acid. If you Google soy and hormones, you'll get all kinds of conflicting information. I am a bit concerned about the level of soy my daughter consumed in those 14 months (soy formula and milk), but I don't think it will have any dire consequences. In this article from Babycenter.com, what most concerns me is that it mentions how phytates can decrease your child's absorption of calcium and other minerals. Flax milk has Omega-3 fatty acids, but hemp milk has the proper ratio of Omega-3 and Omega-6 essential fatty acids. As for the cow's milk, which is obviously not an option for us, I still feel that it's lacking in vitamins and minerals, compared to the other milks. All of the other milks have the same, if not more, calcium than cow's milk, yet I often hear cow's milk touted as being "good for building strong bones", as if there's no other source in the world. So, from what I have seen, hemp milk has the overall balance of fats, vitamins and minerals. I know my "report commentary" is a little hemp-biased, but I hope you will find this information helpful in your quest to find the right non-dairy milk for your child's needs. Some children may need a hypoallergenic/elemental formula even beyond 12 months of age, but I just don't know enough about those products, at this point, to proffer an opinion. Most babies will come home from the hospital wearing those tiny little mittens on their hands, and they'll wear them for a month or so and that's it. If your little one has eczema, though, you might find yourself buying them quite a bit longer. My little sweetheart is going to be 3 years old this week and we still have to keep her hands covered most nights. Even though her eczema is relatively under control, I still catch her scratching in her sleep. Even though she's old enough to stop herself from scratching in the daylight hours, when she's asleep, there's no way for her to know what she's doing. We started out with baby mittens when she was an infant, and then we used the "onesies" with the fold-over sleeves that turn into mittens. Those usually only go up to size 12-months, so after that, I started buying 18-month and 24-month onesies, online, and I sewed the ends of the sleeves closed. I felt a little bad making these "baby straight-jackets", but it was better for her, of course, than letting her scratch in her sleep. I had looked online for professionally-made eczema wear, but the only ones I found were from the U.K. and prohibitively expensive. They were made of eczema-friendly materials and looked awesome, but I just couldn't see paying upwards of $70-$80 for a single garment. So, every once in a while, I would order a multi-pack of long-sleeved onesies and make my own. I would go with the next size up from what she normally wore, so that I could put it on over her pajamas. At first, I used the snaps to make sure she didn't try to take it off at night, but she got used to them pretty quick and I don't think she ever tried to take them off. There was a time, when I bought some soft, cotton socks and tried to put those on her, but she would take those off at her earliest opportunity, or when she fell asleep, she would pull at them and eventually take them off. As she got taller, the onesies wouldn't snap, so I ended up just leaving them open at the bottom. Then, one day I was at the store and they had long-sleeved cardigans on clearance for $2.50 a piece, so I bought a few of those. She had been getting a little tired of wearing the onesies at bedtime, so this discovery came just in time. She was excited, because these "onesies" had buttons and seemed like a big-girl top. (She still likes to call them "onesies".) Anyway, I sewed up the ends of those and we're still managing to keep her in them, which is great. As I said, she'll be 3, very soon, so we'll see how long we can get away with this, but I just thought I'd share our solution for her nighttime scratching. Do you do this, too? A minor crime has been committed in Allergy Town, today, and the search begins to find the culprit. My poor angel broke out in a rash/hives, mostly on her legs, but pretty much all over. I gave her Benadryl for the itching and she didn't appear to have any other symptoms. The only "new guy in town" was the sweet potato pancakes, but she has had them the past couple of days. Another change is that we switched from Zyrtec to Claritin, but that was also 4 days ago. We didn't give her Claritin, this morning, because she complained about not liking it (which she usually doesn't do) and I had noticed that it was giving her tummy troubles. Maybe there were just too many changes going on, today. We'll be switching back to Zyrtec, tomorrow, and we'll see how the day goes. I guess sweet potatoes are off the table for a while. Update: It occurred to me, as I was getting ready for bed, that it might not have been something that she ate. It might have been our trip to Costco!! I have only taken her with me maybe 3 times in her whole life and I took her with me, yesterday. I wiped down the cart, but maybe I didn't clean it well enough. They were also cooking all kinds of foods and the smells were pretty thick. I'm wondering if that was it, and not any of her foods, at all. It's so tricky! Update Part 2: OK, latest theory - cross-contamination from a pre-cooked hamburger patty. I consulted my food diary (I don't keep one every day, but I do jot things down when she develops a rash) and I had fed her that patty on both days that she showed a reaction. I'm awaiting a return phone call from the manufacturer. She has eaten this food many times before, but cross-contamination can occur at any time, I'm sure. Update Part 3! : I got a call back from the company and the ingredients in the "spices" and "natural flavors" might have been to blame for her rash. I may never know the true cause, but as of right now, the burger patty is off the table. I know the 1%/99% business has been a heated topic of discussion, lately, but I am not here to discuss any of that. This is a bit of a rant, though. Just because something is rare, does not mean that it does not exist. If you take the population of the United States, that equates to roughly 3 million people. If you take the population of the planet, that is about 70 million people! 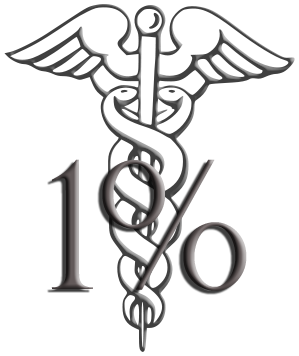 One percent is quite a large group. 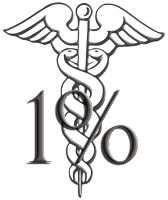 Why do some physicians think that they could never be lucky enough to encounter one of the 1%ers, in their career? On top of that, food allergies affect well over 10% of children, nowadays, so physicians need to update their statistical references. I guess I do carry a little bit of bitterness over the many misdiagnoses I had as a child. Doctors would say "she just wants attention" or "she'll outgrow it". They just didn't know what to make of my symptoms, and I understand that, but why not just say "I don't know" and run some tests, or do some research? I was usually sent home to breathe in a paper bag, or something equally useless. I do not expect every physician to know every obscure condition. I don't expect an episode of "House" when I visit a doctor. All I ask of doctors is that they take their patients' (or patients' mothers') concerns seriously and take a moment to order a test or two, or listen attentively to the description of symptoms. I didn't get a proper diagnosis for my condition until I was 18 years old. I had all but given up on finding out what I had, until I saw an ER doctor at age 16 who took the time to ask me questions and run some tests. His initial diagnosis was incorrect, but it started the process and I later met a neurologist who figured it all out. Those doctors who take the time to listen and investigate and who do not dismiss patient concerns, are the ones who help me retain my faith in the medical community. To the "other" doctors, I say - I understand that the chances may be slim for many things, but why not listen to a mother's instincts and check things out when you are asked? If she's wrong, so be it. At most a little time and money is wasted. At best, valuable information is obtained and treatment and lifestyle adjustments can begin. Also, sometimes you just have to rule things out, in order to get to the answer(s). Moms (or dads or caregivers) - take the time to find a physician who will take your concerns seriously and perhaps even humor you a little, if you aren't quite on the right track. If you have limited access to physicians, try to work with them to get their attention. Keep asking questions and don't let them dismiss you. Speak up for your child. There's no need to be rude about it, but you can gently insist when necessary. We, the 1%, need to be heard! P.S. I have another post discussing the 95% chance of peanut allergy based on test results alone, and you might think I would wonder if my daughter is in the "rare 5%", but I just don't think she's quite that lucky and the risk of proving that theory is too great. Combine the first 4 ingredients in a bowl and set aside. In a standing mixer or bowl using a hand mixer, cream the butter and brown sugar. Add the "egg", the sweet potato puree and rice milk. Add the flour mixture and mix until just combined. Using a small cookie scoop, place dough into mini-muffin cups. Place powdered sugar and rice milk in a bowl and whisk to combine. Drizzle over cooled muffins, as desired. Recently, the DEA had a "Got Drugs?" event, where you could turn in your expired/unused medications. I took some old medications and my expired EpiPens, but they said they couldn't accept any "sharps". 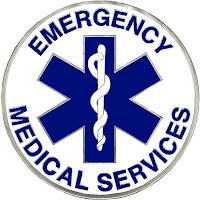 They suggested that I go to the EMS (Emergency Medical Services) office, during regular business hours. Me: Hello, I have a 3-year-old daughter with severe food allergies to peanuts, milk and eggs. Do you carry epinephrine in your ambulances? EMT: Yes, we do. We have training on the use of epinephrine and EpiPens, for allergic reactions. We are very much on top of that kind of thing. Me: That's great! What about the other departments...Fire, Police...do they know about allergic reactions/epinephrine, etc.? EMT: The Fire Department is also trained, as they are First Responders. * They often come here for training and, as a matter of fact, they are here, today, for a training class. EMT: No, they are not trained on EpiPens, so they probably wouldn't know about them, unless they, or someone they knew, had food allergies. They are trained on CPR, but if something were to occur, they would contact us. Me: Are you allowed to administer our personal EpiPens, if for some reason we were unable? EMT: We have our own, but if for some reason that was unavailable, or you were unable to administer your own, or your child was with a babysitter, we could definitely use your EpiPen. The medicine we have is the same, it's just in a different delivery form, so it could be done either way. We are fortunate to have eight of the most talented and professional Fire Departments that provide first response in our EMS System. The First Responders are critical to the success of our system, as they respond ahead of the ambulance and actually begin treatment and stabilization prior to the ambulance arriving on scene. In a time critical emergency, this can truly be the difference between life and death. I guess never realized that they arrived ahead of the ambulance, so it's good to know that they are also trained on the use of epinephrine. I hope I never need their services, but they were very friendly! I think, if you the opportunity, you should stop by your local EMS/Fire Department and get to know some of the people who might help saves your child's life one day. Each place can have different rules/policies/laws, so you should ask your own questions, to see what the situation is for your particular service providers. Edited to add: Thanks to Allergic Child for asking the question and a reader for answering it, here is a link to a map showing the various Epinephrine Policies by state. I did not realize that some states do not allow certain levels of EMT to carry epinephrine, but will inject a patient's own autoinjector, etc. Again, always check the rules for your particular area. 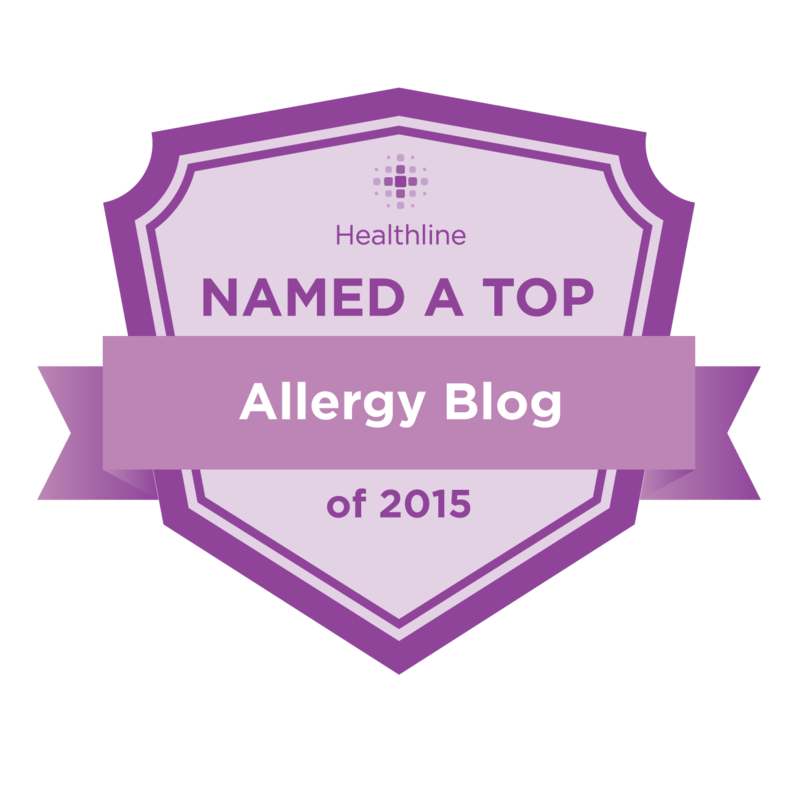 In Part One, I discussed some of the things I agreed and disagreed with, in an article about the proliferation of allergy testing. To further explain why I have more faith than some in blood tests for allergies, I would like to share some information from Food Allergies For Dummies, by respected pediatric allergist and professor, Dr. Robert Wood. I will also share our experiences with my daughter's test results. Before I continue, I want to state that I understand that blood test results are not conclusive, all by themselves, and that a medical professional, preferably an allergist, needs to review the patient's history and other information, when interpreting results and making diagnoses. What I'm trying to convey, though, is that there are instances where blood test results can be highly predictive and useful. The higher the RAST score, the more likely that the results represent a true food allergy. More importantly, for some of the most common food allergens, the doctor may compare your RAST levels to predetermined cut-offs, above which a true food allergy is almost certain. For example, using the CAP-RAST, which gives results on a scale from 0 (zero) to 100, an IgE level of more than 7 to egg, over 15 to milk, 14 to peanut, and 20 to codfish is highly predictive (greater than a 95 percent chance) that you’re allergic to that food." Please note that...greater than a NINETY-FIVE percent chance. I'd say that's a lot better than 50/50 predictability! Yes, I know, that's a lot of test results! 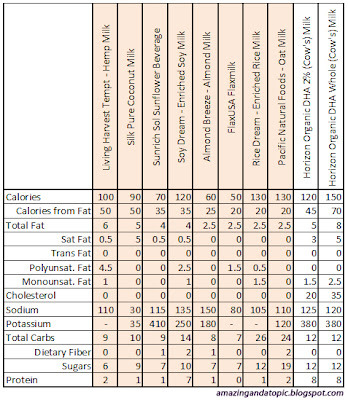 Back to the thresholds that Dr. Wood noted...Eggs (7), Milk (15), Peanuts (14) and Codfish (20). My daughter tested "<0.35" ("negative") for Codfish, but as you can see, her result for Egg was 65, Peanut was 95.6 and Milk was 84. That is, indeed, well beyond the thresholds of 7, 15 and 14! So, even though we initially only suspected cow's milk, with a 95% chance that she has a true, and severe, peanut allergy, would you take the risk with your child? As far as I know, my daughter has never ingested a peanut in her life. Her exposure must have been in the womb, or through nursing, but I have never seen her eat/react to a peanut. I have seen what traces of milk can do to her, so I have a history of reactions to go with the milk results, but I just have to act "as if" she has a severe peanut allergy. The risk is too great and the odds are too "good" that she is severely allergic. I believe I have also seen proof of her egg allergy from the flu shot incidents. I think she was just lucky that I was wary of peanuts from the first sight of her eczema and never even considered giving her peanut butter, but I do wonder what might have happened if I had never tested for peanuts (since it wasn't a prime suspect). That could have been very bad. I do know, though, that the test result number does not indicate what the severity of a reaction will be, but there is a tendency for the allergic-reaction's severity to be more severe, as the values rise. I made my daughter a cupcake, once, using flax seed as an egg-substitute. She got itchy and threw up, and I avoided flax seed until we had the additional blood tests done. (Update: Apparently, when I wrote this, I had forgotten about this incident, and must have decided to try flax, again, which was obviously a horrible mistake. By the time I wrote this post, I was assured of her flax allergy, but at that time, I clearly was not.) Sure enough, it came back as a Class 4. Even though Classes 4-6 are all "Very High", I know that doesn't mean that every reaction to those foods will be the same. What I can be relatively certain of, though, is that she is allergic to it. Unfortunately, they haven't determined thresholds for all the other food items, so for some of them, it has been trial and error. Before I had the blood tests done, I was feeding her corn and potato. When I got the test results back, I removed them both from her diet and added them back one at a time (with the allergist's OK) and we found that only the corn was aggravating her eczema. She does seem to be OK with cornstarch or corn syrup ingredients, but corn tortillas are "off the table", now. [Update: Corn tortillas, canned corn and corn on the cob have since been added back to her diet. I am still confused about marshmallows. They seem to make her itchy.] 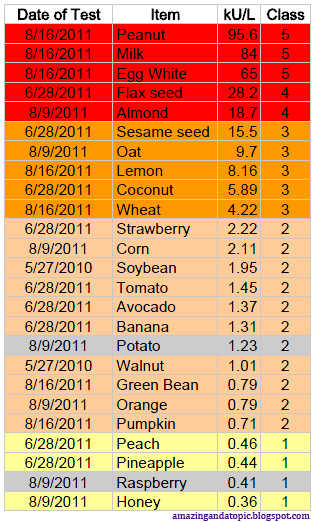 None of the foods below 10 kU/L appear to be anaphylaxis risks, for my daughter. They haven't decided on a threshold for wheat and so I avoid it, completely. [Update: I have since learned that there is "20" threshold for wheat, but I am still avoiding it, because it can aggravate asthma and I'm not sure adding wheat to her diet will be beneficial.] There are some foods on the list that she has never eaten, yet we are avoiding due to the test results. Those foods are: peanut, almond, sesame seed, coconut, walnut, orange and pineapple. I think it is perfectly reasonable and not detrimental to her health to avoid those food based solely on the blood tests results. Well, the pineapple result does not worry me much, but I know a lot of people who find the juice irritating to their face, so I just haven't tried giving it to her. The other foods, from what I have seen, aggravate her eczema, so we avoid them. Now, the thing the allergist told me, while explaining the concept of false positives was, "Has she eaten food X? Did she have a reaction? If not, she is not allergic to it, even if the blood test has a positive value." My daughter's allergist's philosophy is to avoid all allergens, to which she has reacted, as long as possible. He is fine with her eating foods that tested positive, but to which she does not react, though. The two foods in gray (potato and raspberry) appear to be false-positives, so we let her have those, but sometimes I wonder if I'm just missing the connection between those foods and some of her rashes or allergic rhinitis. For the others, we are just avoiding them entirely. So, the point of all this is that blood tests can be very helpful in diagnosing and, subsequently, managing your child's allergies. I agree that they are not as useful in a vacuum, but I am very glad that these tests exist and hopefully their diagnostic capabilities will improve in the future. I feel that blood tests for food allergies are getting a pretty bad rap, lately. I read/hear things like "they're wrong 50% of the time" and "they give a lot of false positives". Those statements are not entirely true. It covers quite a few points, so I'd like to go through the article and express where I agree/disagree. "I'd like to see this awareness spread to other areas of medicine where tests are widely used without strong supporting evidence. Why not start with allergy testing?" Right off the bat, I'm in disagreement. 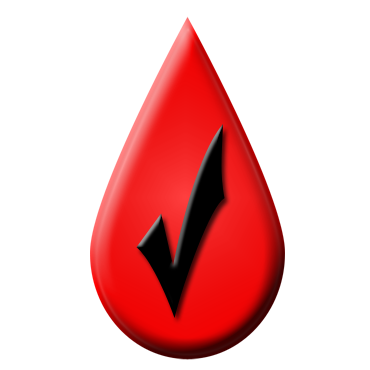 I believe there is supporting evidence that blood test results can be helpful. "Most of the children in the study had an allergy-related skin condition called atopic dermatitis, which may have made false-positive test results more likely." Well, he is referring to skin tests, yet he lumps skin tests and blood tests together, which I don't think is fair. My daughter had pretty bad eczema (atopic dermatitis) when she was a baby and when it came time for testing, I didn't even consider the skin-prick test. I thought to myself, "how would they be able to tell the reactive rash from her existing rash?" Also, even though people cringe at the thought of a blood-draw, the way I see it, it's basically one or two pokes, versus a back or arm full of pokes. For the blood test, they can poke my daughter "once", take her blood off to a lab, and test to their heart's content, without her being present or in any more discomfort. I would imagine that it takes a little more recovery time for a skin-prick test. Also, you can do the blood test without having to stop any medications. For the skin prick test, it is my understanding that the patient had to stop taking their medications, like Zyrtec, Allegra, etc. Now, I'm not trying to say the skin test is a "bad" test, but I just don't think the two should be lumped together. "These false diagnoses can also be very disruptive for families and their surrounding communities. Special diets are a hassle to follow and "non-allergenic" foods often cost more. Children and parents may suffer unnecessary anxiety about accidental ingestion of the wrong food. Even classmates may be affected due to the spread of "nut free zones" that restrict food choices." Where do I start with this section? Yes, it is disruptive to find out that your child has food allergies. What's more disruptive is not knowing your child has food allergies and having them have an adverse reaction on a regular basis, because you have yet to identify the triggers/allergens. It also irritates me that he would mention the "nut-free zones". Don't we have a hard enough time convincing people of the necessity of "nut-free zones" without someone calling them into question, yet again? (I mean, they are necessary when a child has a severe nut allergy, not just across-the-board.) Why is it so awful to err on the side of caution, when a child's life is at stake? Also, not all schools are "nut-free" all the time. I know of a school that only implements those policies and precautions when a food-allergic child is actually enrolled. If no peanut-allergic children are enrolled at the time, they return to using peanut butter for crafts, etc. I understand that he means that misdiagnosed food allergies are a burden, but I just don't like the discouraging tone. "But his concerns about the overuse of food allergy tests are supported by the authors of recent National Institutes of Health (NIH) guidelines on food allergy, who warned that lab tests are frequently (and incorrectly) used as the sole basis for a food allergy diagnosis." Yes, it is true that a blood test result, alone, should not usually be relied upon for food allergy diagnosis. However, sometimes, the results are so compelling, that we just have to act "as if" and assume that an allergy is present. Who wants to find out the hard way? "A positive test does not equal a diagnosis, which is the premise of the testing programs," Wasserman said. "These tests are fundamentally useless without a formal evaluation of the patient." This is true, and I won't deny that. I don't like the concept of people getting tested for allergies at the grocery store, or at the pharmacy. The conflict of interest is staggering and the staff present are not qualified to make a diagnosis. I understand the general sentiment of the article, because I believe his main point is that we don't want people being tested across-the-board, when they've shown no signs of food allergies, because there might be false positives. However, I see people with children who are showing signs of a reaction to something, yet they wonder if they should test, or are discouraged from testing, by their child's pediatrician. This would not be "random" testing. They have cause to suspect food allergies. Yes, of course, it could be something else, but why are people so bent on discouraging the tests when there are suspicious signs and symptoms? Even if the tests show no IgE-mediated allergies present, that is still useful information. There are also non-IgE-mediated food allergies and food intolerances, that might be at play, but I still feel that the blood tests serve a useful purpose. On New Year's Eve, I made my daughter (who was a little over 2 years old, at the time) a loaf of bread in the bread machine. I wanted her to have a nice treat for the next day. We didn't get to celebrate Christmas with my husband's parents, the previous week, because we were all sick. New Year's Day was to be the "redo" day. So, that morning, I gave my daughter a slice of her "special" bread and a while later, she was acting clingy and fussy and itching all over. She had been itchy these past few days, but when my husband lifted her shirt, I saw a familiar-looking rash on her side. He asked what we had given her that was different and I said, "nothing..." He asked about the bread and said it was the same kind I used a while back. I went and dug around for the box in the trash and realized that I had bought the same brand, but not the same variety. This time, I got the "sandwich bread" mix, and right there on the ingredients list, like a slap in the face, the words "whey (milk)" and "Contains: Milk" are staring at me! I felt like a complete idiot. I had read the directions on the back, which call for eggs and I used egg substitute, of course, but I didn't even read the side panel, since I thought it was already cleared as "safe". My poor girl was itching and itching and whining and moaning. The last time she had milk, it was in the form of goat's milk yogurt, and it made her throw up. I was waiting for her to hurl, any moment, but instead, she was very fussy and began crying/screaming. She was scratching at her neck/throat and I asked her if her if there was something wrong with her throat and she said "my throat itches". I started to panic a bit, on the inside, and went to the cabinet and got the Benadryl. As I said, usually her milk allergy manifests in vomiting/eczema, so I wasn't sure if the skin on her neck itched, or if something was going on inside. I gave her 1/2 tsp. of Benadryl (which should have been 1 tsp. for her weight, but I didn't know that, at the time) and did her "puffer" (Flovent). I sat with her and watched her like a hawk. She was crying/screaming, still, and I was trying to get her to stop crying, because her nose was already stuffy and she was very snotty and couldn't breathe out of her nose. Then, in between loud cries, she lay herself on the floor and grabbed at her neck and was wheezing a little. I grabbed her and got the diaper bag and some of her milk (hemp milk) and told my husband we had to go to Pediatric Urgent Care - NOW. I debated about using the EpiPen, but didn't want to overreact. We live 4 minutes from Little Spurs Pediatric Urgent care, and luckily they had just opened and we were the first ones there...My sweet baby cried all the way there, and as much as I hated to hear it, I was glad, because it meant she was breathing. I knew it wasn't a guarantee, though, that she was breathing well and getting enough oxygen. In retrospect, knowing what I know now, it was definitely an (Edited to add: anaphylactic) allergic reaction, because she had the tell-tale signs: itching, stomach discomfort, nasal congestion, wheezing, etc. The reaction was complicated by other factors, but it was still an allergic reaction. I now know that you cannot predict future reactions, based on past reactions. Just because she had reacted with only eczema and vomiting in the past, did not mean that she would react the same for each future reaction. After the commotion, I was talking with the nurse and asking if I should have used the EpiPen. She said I could have and it would have been an acceptable thing to do. In this case, her airways weren't closing very rapidly and she was OK without it, but she said, the thing is, you never know how much time you have, with an allergic reaction situation and it's best to err on the side of caution. The silly thing is that I had just read an article, two days ago, from Kids with Food Allergies, about the EpiPen and how it's not as scary as it seems, and the needle is REALLY small, even though it comes in this huge dispenser. The needle is way smaller than those used for vaccinations and delivers a very small dose of medication. Even so, I was still hesitant to "pull the trigger" when the time came. She said, in the future, if there is a known ingestion of an allergenic food, with any breathing difficulty, the process is to administer the EpiPen, and then head straight to the ER. We now know that we should, instead, call 911 and they can take us to the ER. We should also request that they bring epinephrine, since they don't always have it on hand. We explained that my daughter has been on oral steroids and breathing treatments, before, but all stemming from viruses, and she said in those cases, we should go to the ER, but the EpiPen is not necessary. That's just for acute allergic reactions. They gave us a home nebulizer, to administer treatments every 4 hours, for the next day or so. They were surprised that we didn't already have one, but I guess since we had the puffer-spacer for the Flovent, we didn't think we needed one, which obviously wasn't right, since Flovent is not for rescue purposes. Well, now we have one, so that's good. Meanwhile, my husband's parents had arrived at our house and when we got back home, my daughter was perfectly fine and you couldn't tell what a harrowing morning she had. Since she was on the oral steroid (and due to all the excitement) she skipped her nap, and got to spend some quality time with Grandma and Grandpa. We all opened our presents and had a really great time. The Benadryl and oral steroid cleared up her runny/stuffy nose and cleared up her skin like magic, and she's was in better condition that she was the day before, so there is a silver lining, but I'm wasn't too happy about the route we took to get to that point. I keep trying to tell myself that it's just good that I reacted quickly and was able to get her treated early and with little residual effects, but I can't help kicking myself for making the mistake in the first place. I know it's all a learning experience, but it breaks my heart that these lessons are learned at my daughter's expense. It's unsettling to know that my mistakes can affect her health so severely. I'm so thankful, though, that she is such a strong little girl and bounces back so well and still has smiles for me every day. Part of my reason for sharing this whole ordeal is to let people know that if you have a child with severe food allergies, who has a bad reaction to a food, don't hesitate to administer the EpiPen! I didn't do it, in this case, but I was very lucky that we were seen quickly, and that she only ingested a small amount of baked milk protein, etc. The EpiPen is just a medicine, and the needle is very thin and you can administer it through a pant leg, in an emergency. If they don't "need" it, it will most likely not hurt them and if they DO need it, it can save them. I think my problem is that I envisioned the scene from "Pulp Fiction" where they inject Uma Thurman's character in the heart with an adrenaline needle as long as my arm. The Epi Pen is nothing like that and my daughter, in her distress, would probably not even notice it. I won't be jabbing her for every cough, but if the time comes again (and I hope it doesn't), I'm going to use it. I have to keep telling myself that it's OK, and that's what it's there for, and it helps more than it hurts. For more information on epinephrine and anaphylaxis, please see my "Important Information" post.